Bamboo & Bergamot- Find your zen with our "Meditate" candle! 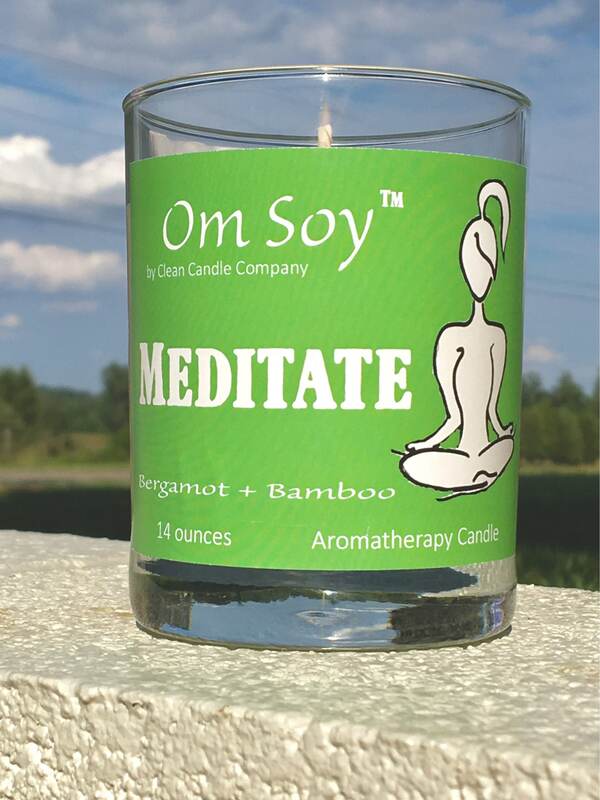 This candle was created with your meditation in mind. Get grounded and find your balance with this calming scent. OM SOY by Clean Candle Company is our newest creation! Each of the 4 scents is perfectly designed to create a certain mood you're trying to achieve, whether you're actually doing yoga or meditating, or just want to burn it while hanging out at home! This candle will burn for 75+ hours. The great thing about our candles is they are all candles are reusable-whether functional or a new addition to your decor! We know that the style you’ve curated for your home is important to you. That’s why we spend so much time designing our candles to fit in to your life. Just wash with warm soapy water when you are done! Great smelling candle that will be a nice gift for my yoga trainer.